"You have chosen poorly, young Jair," says the screen, flashing an image of grinning Death. I hate him. I hate his bony little skeleton face so much. I've seen it at least ten times in the last hour and a half, each time listening to his snide comment about my demise. I've been burned to a crisp by a dragon. I've been shot by an arrow from the dark. I've had a rickety wooden bridge burned from under me. Even nonlethal occurrences might as well be—I've heard the screams of a banshee and come under a curse, I've seen an enormous spider frozen to the ceiling, I've gazed upon the face of a demon. And ever Death mocks me. "Tis a sad thing that your adventures have ended here," he says, laughing. But they haven't ended. Not really. I load my latest quicksave again and try something new. Maybe this time I won't die. Maybe I'll solve another piece of the massive puzzle that is Castle Shadowgate. Shadowgate is impossibly hard, and I mean that as a compliment (I think). For the uninitiated, Shadowgate is a remake of—you guessed it—Shadowgate, a 1987 point-and-click adventure designed for the Apple Macintosh and ported to basically every extant platform at the time: the Amiga, Apple II, Atari ST, DOS, and even the NES. 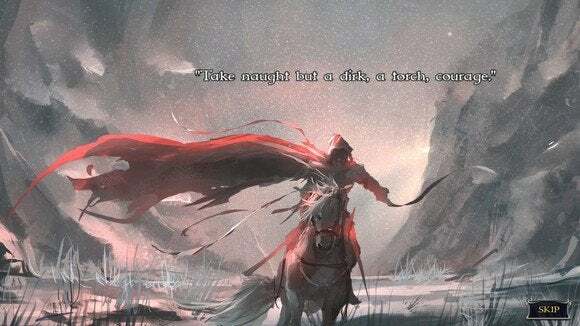 You're an adventurer named Jair, and you've been called by the wizard Lakmir to free Castle Shadowgate, which has fallen to an unspeakable evil named Talimar the Black. It's a fantasy-style dungeon crawler of an adventure game, with you exploring old tombs and wielding swords and the like. And it's hard, in the way that only late-80s/early-90s adventure games can be hard. Shadowgate doesn't even try to hide it, wrapping itself in delightfully obtuse holdovers from the olden days of adventure games. Contextual commands? 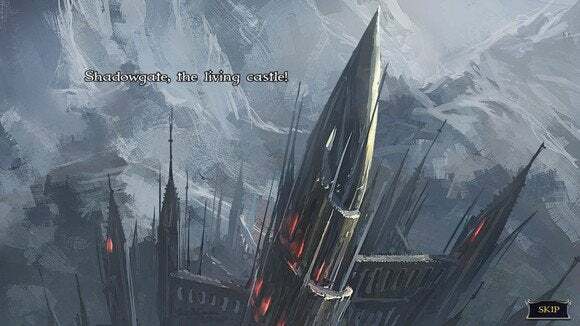 Get out of here with your newfangled ways—Shadowgate uses the antiquated "Look," "Go," "Eat," "Use," et cetera system that fell out of favor years ago. Using an item is entirely different from Looking at an item is entirely different from Eating said item, and Shadowgate expects you to know when to use each command appropriately—or it kills you. I'm not joking. 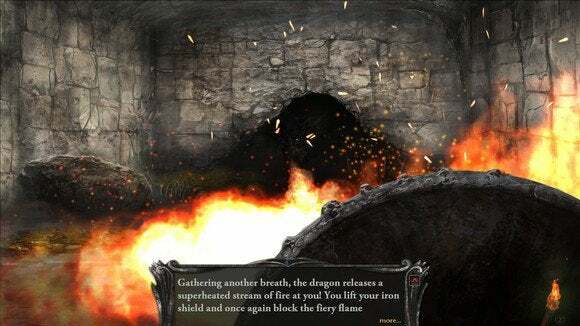 One of the most famous encounters in Shadowgate brings you face-to-face with a dragon. You have one turn—one—to notice the shield lying on the ground and Use The Shield On Yourself or else the dragon breathes fire and you die. That's it. Shadowgate has tuned the difficulty a bit by adding easier tiers, but even these just allow you to futz your way through some of those puzzles for a few more turns. The middle difficulty tier, for instance? You have two turns to equip the shield instead of one before the dragon roasts and (presumably) eats you. It's hard. I cannot repeat that enough. There are going to be people who get stuck after playing the game for less than half an hour, clicking everything because the game doesn't highlight what items you can interact with. And yet for all that old-school clunkiness, for all the torture it puts you through, I genuinely enjoyed Shadowgate. Puzzles tend to make sense in a fantastical Dungeons & Dragons manner, with few notable instances of Adventure Game Logic. 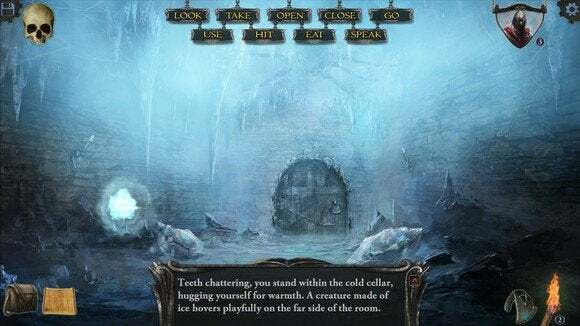 The game forces you to pixel-hunt a bit too much, maybe, but it's in keeping with its retro roots—this is the absurdly difficult, painful adventure game that fans of Shadowgate Kickstarted. The pain of pixel-hunting is somewhat assuaged by the fact that Shadowgate is absolutely gorgeous. Each new room in Shadowgate is a treat. A treat that's trying to kill you, like a poisoned lollipop or something. From damp dungeons to dusty tombs and lavish towers, the hand-painted art style implies as much as it shows and would look at home in a Dungeons & Dragons manual. It's perfect for conveying Castle Shadowgate and its often-strange trappings. Recognizing the strength of the artwork, the developers have included my new favorite adventure game feature—Immersive Mode. Press the default toggle key, F11, and the entire UI fades out—the miscellaneous clutter, the list of commands, the flavor text. You get an unobstructed view of the artwork, while mousing over any of the invisible UI elements will bring it back momentarily. It's a fantastic way to play the game once you've memorized the various command hotkeys and want to appreciate the spectacular views Castle Shadowgate provides. The game also includes a "Retro Mode" that attempts to (playfully) emulate some aspects of the NES Shadowgate—like, for instance, the ability to swap the (fantastic) modern score to the original NES music, done by Hiroyuki Masuno. 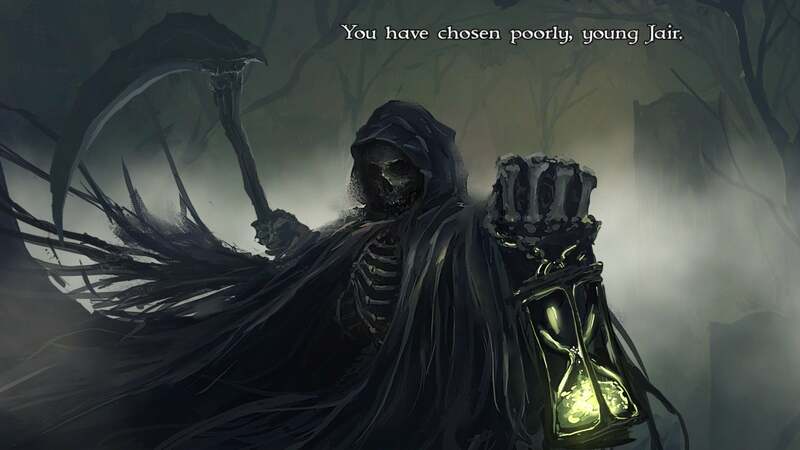 One last time, in case you missed it: Shadowgate is hard. There's no getting around it. Even if you're a veteran of the original, you'll most likely get stuck occasionally considering the developers switched or tweaked most of the puzzles. You're going to die. You're going to be frustrated. You're going to have no clue what you should be doing, wandering at random between rooms. If that doesn't sound like fun? That's fine! Give this one a wide berth. This is exactly what fans of the original wanted, though. This 2014 version of Shadowgate is really just the original Shadowgate with prettier graphics—it's unapologetically difficult and occasionally clunky, but all the more charming as a result. Shadowgate is unapologetically retro, bringing the difficulty of the original Shadowgate into 2014 and barely softening the blow in the process. It's fantastic.